Chuck Holloway grew up farming and ranching in California’s central valley and has had a life-long passion for agriculture. He moved to Sheridan in 1993 and began teaching in the Agriculture Department. 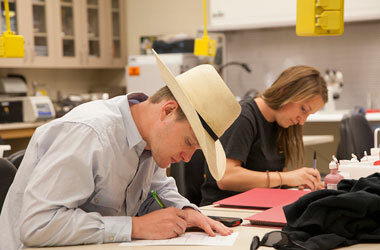 He loves working with Agriculture students, both in the classroom and in the field. In addition to his duties as an instructor, he serves as the advisor for our Ag Club, which is associated with the National Professional Agricultural Students Organization. During the summer, he guides fly-fishermen on the Bighorn River in Montana. He enjoys the incredible hunting and fishing opportunities Wyoming and Montana have to offer.